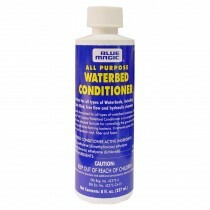 From essential waterbed supplies like waterbed conditioner or heaters, to hard to find items like waterbed vinyl conditioner or sheet straps, you can always trust Blue Magic Brand waterbed products. Be sure to shop our individual categories for a complete inventory of Blue Magic brand products. 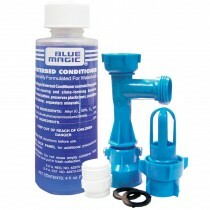 All of our Blue Magic products are delivered direct to your door fast and free. Extend the life of your waterbed mattress with Blue Magic brand multi-purpose waterbed conditioner. The time release formula provides protection for all types of waterbeds. 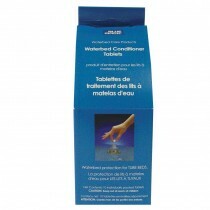 Protect your tube style waterbed mattress with Blue Magic conditioner tablets. Drop one tablet into each tube as directed and simply let the time release formula do its job. The Blue Magic Fill and Drain Kit contains all the parts you need to successfully fill and drain your waterbed mattress. Includes a 4 oz. 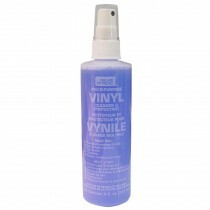 bottle of Blue Magic Waterbed Conditioner. 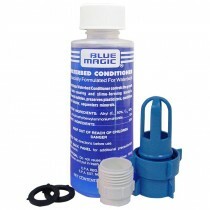 The Blue Magic Fill Kit contains all the parts you need to easily fill your waterbed mattress by connecting to an ordinary faucet. Includes a 4 oz. bottle of Blue Magic Waterbed Conditioner. 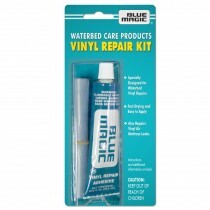 When you need fast drying, easy to apply waterbed vinyl repair look no further than the Blue Magic Vinyl Waterbed Repair Kit.